Great for both cutting and embossing, the Couture Creations GoCut and Emboss Machine can be used for scrapbooking, card making and quilting. Easy to use and portable, this superior quality machine makes a great choice for both beginners and experienced paper crafters. Use it with your favorite Ultimate Crafts embossing folders, thin dies or Quilt Essential Dies, sold separately. 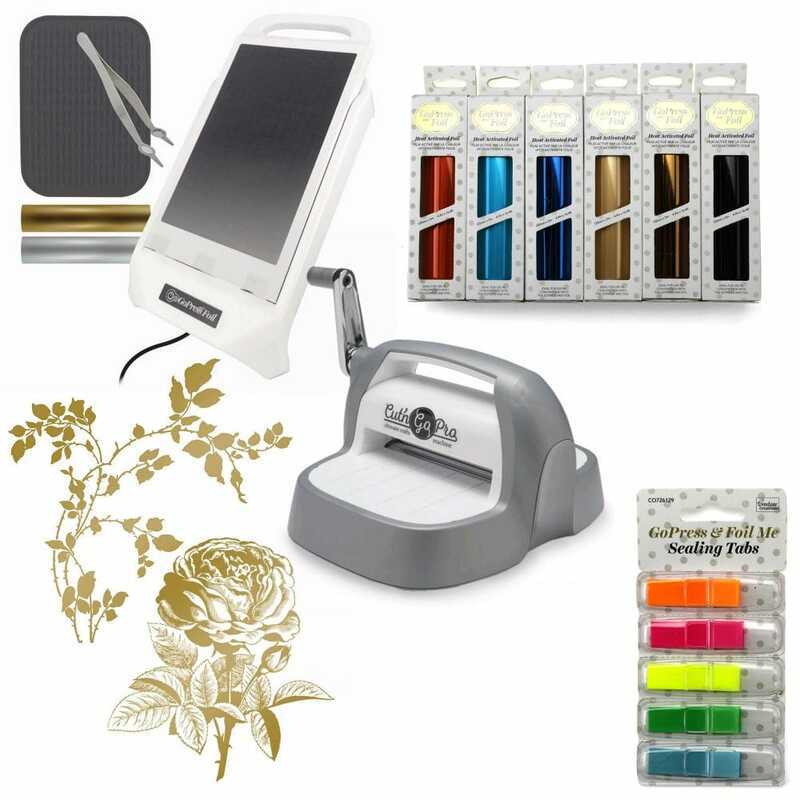 The pack includes an embossing machine, as well as plates and a handle kit. Contains 2 of the most popular stamps, the Rose and the Thorny branch. Add a bit of glamour to your paper crafting. 6 Hot gorgeous colours 125 x 5m foils Plus sealing tabs. Midnight Black, Chocolate copper, Rose gold, Royal blue, sea breeze, Red-orange. Add a bit of glamour to your paper crafting. Can be hot foiled on leather, fabric, velvet, canvas, card, papers etc.